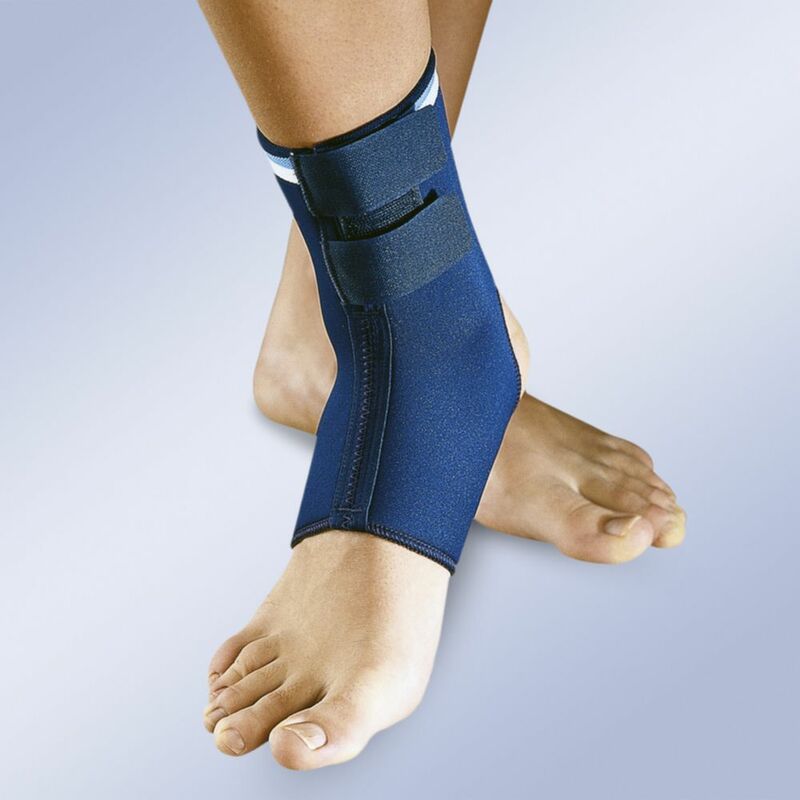 Neoprene ankle support with velcro adjustable straps on the upper part. Indications: Slight sprains, Tendonitis, Post-operatives and relapses. Size: S (24-26cm), M (26-28cm), L (28-31cm), XL (31-34cm). Ankle circumference in cm.